A clean area for food production and sale is a standard required throughout the world. The importance of effective cleaning, cannot be over emphasised and it forms one of the pre-requsites for any HACCP system. "Housekeeping and cleaning systems shall be in place which ensures appropriate standards of hygiene are maintained at all times and the risk of product contamination is minimised" – BRC Global Standard for Food Safety. Help prevent contamination and cross-contamination. Reduce the risk of food poisoning and food spoilage. Encourage business and lift staff morale. Reduce the risk from audits and inspections. Here are some of the reasons our cleaning in the food industry training is one of the best in the industry. Ready to gain your Hygiene Certificate in Cleaning in the Food industry? 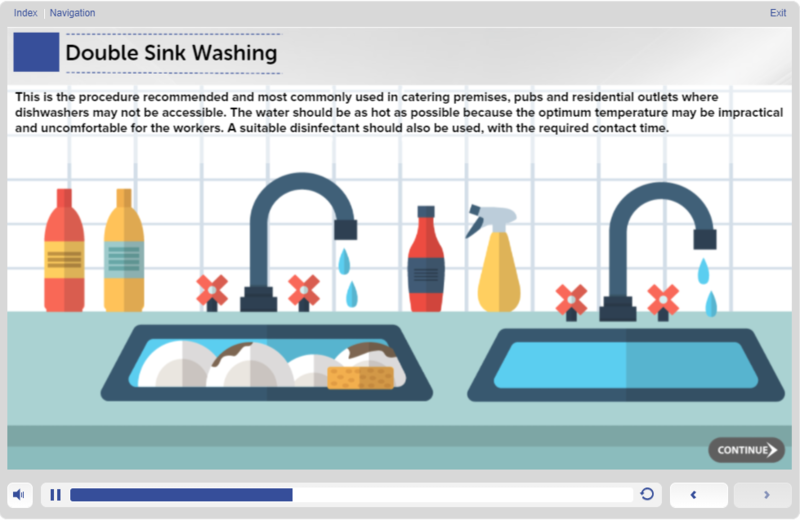 Who should take this online cleaning in the food industry course? 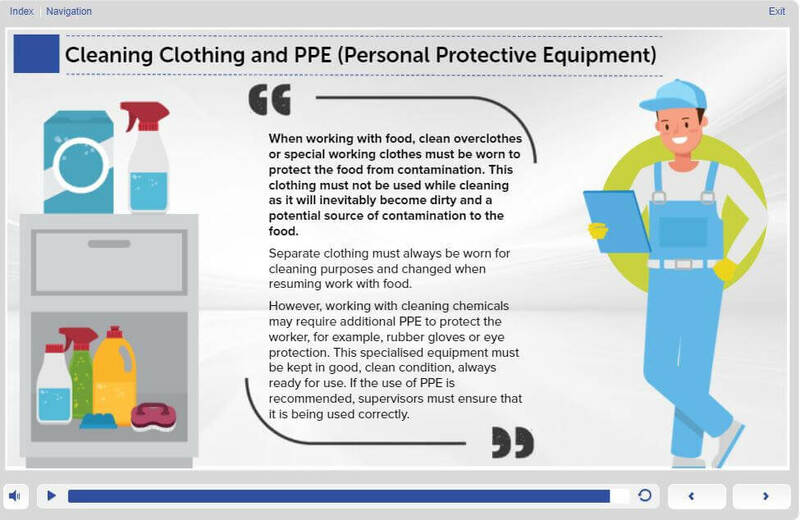 This online cleaning course is aimed at everyone in the food industry who cleans, either at their own work area or those who are dedicated cleaners. Cleaning is a science and is not easy, if it is to be effective. Everyone who ever cleans needs to understand the principles behind cleaning science and the cleaning procedures needed to be effective. 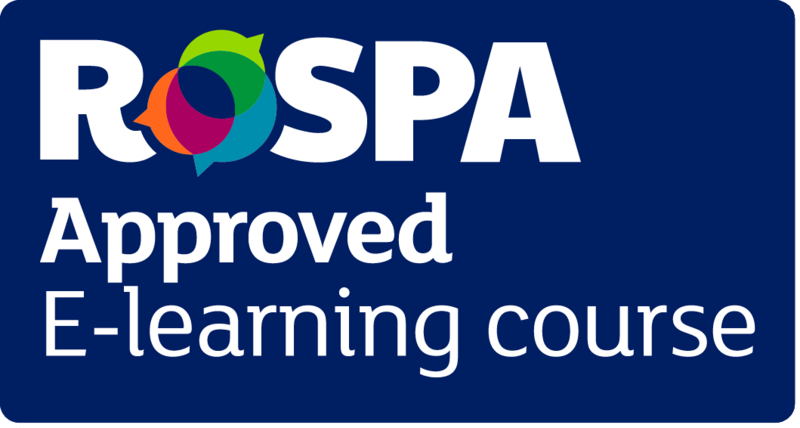 Our Cleaning in the Food Industry is an approved RoSPA e-learning course, allowing us to provide the most up to date and industry recognised course. How long does a Cleaning in the Food Industry Certficate last? 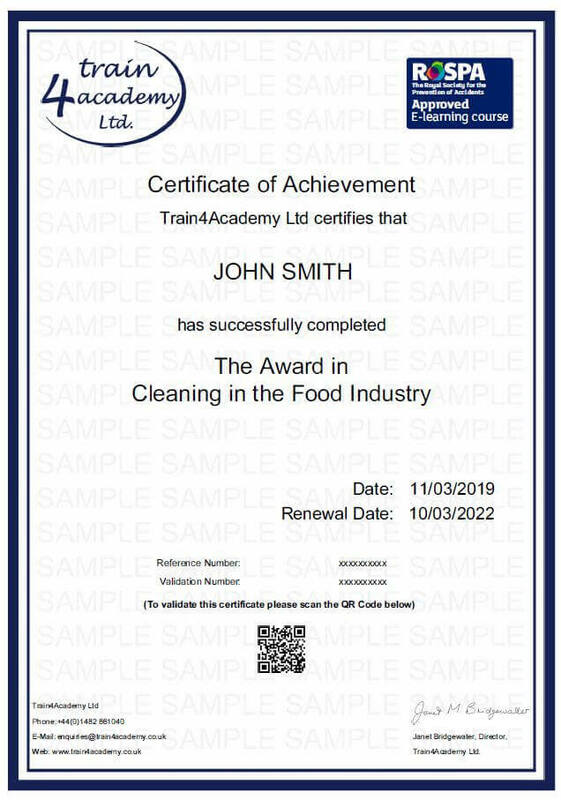 Our Online Cleaning Course in the Food Industry has been approved by Environmental Health Officers with its content developed in accordance to their guidelines, which means you can be sure you’re receiving the right training for your role. This online cleaning course provides 1 point towards your Continuing Professional Development (CPD). The online assessment for the course consists of 30 multiple choice questions. In order to be successful, candidates must achieve a 75% pass mark to obtain the certificate. The average time required to complete the learning is approximately 1 - 1.5 hours. However the course is designed to go at the pace of the learner and can be completed in more time if needed. If you don’t pass the assessment first time there is no need to worry. We offer you unlimited FREE resists to make sure that you pass and get your certificate in cleaning in the food industry, stress free. This course looks at the importance of safe and effective cleaning within the food industry to maintain the health of the worker and consumer. 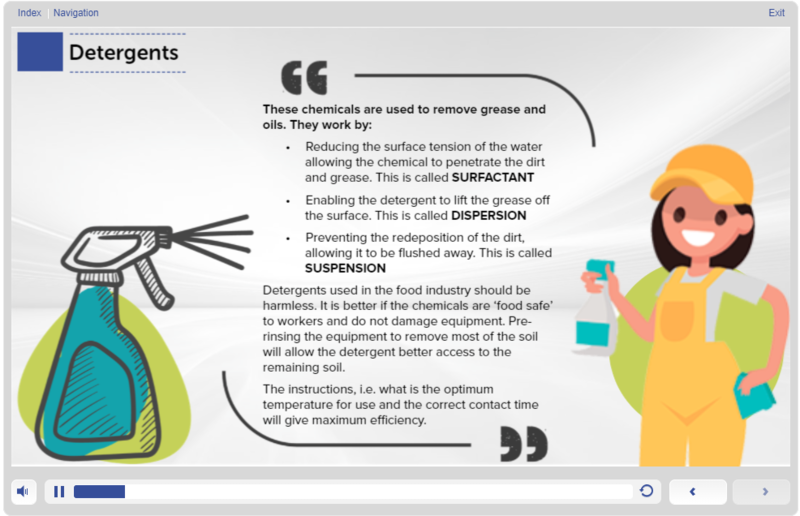 It looks at the science of cleaning, the role it plays within the food industry, and some of the standard cleaning methods.